Help! I’m Being Followed by a Debt Collector! 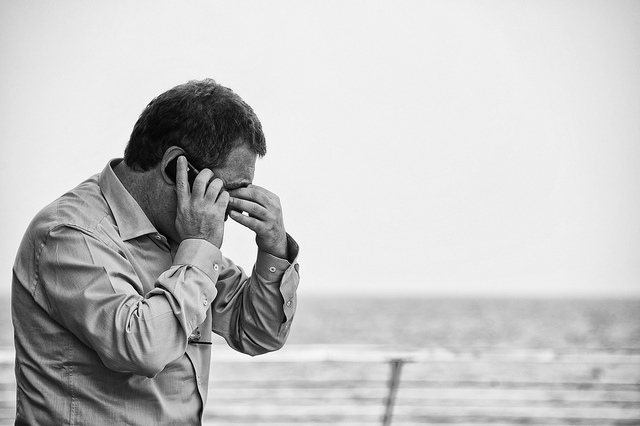 If you’re being “followed” by a debt collector, you’re not alone. Harassing phone calls and many other actions committed by some debt collectors are illegal and should not be tolerated. Don’t ignore the problem. Keeping your head in the sand while your debts pile up around you is the most irresponsible way to handle this situation. You may only have a very limited amount of time to make communication with a creditor before everything becomes even less friendly than it already is. Another good reason not to toss those notices onto the floor or straight into the recycling bin, is that you need to verify that the debt is actually yours. You will have only 30 days to request verification of any debts before debt collectors can start putting negative marks all over your credit report. Guess what? If the debt ISN’T EVEN YOURS in the first place, it won’t matter once it’s left its mark on your credit report – and that mark can hang around for seven years. Know your rights. The Federal Trade Commission (FTC) has great information to help consumers understand their rights regarding harassment by debt collectors. The Fair Debt Collection Practices Act has made it unlawful for debt collectors to harass or threaten consumers. Although you still need to deal with the situation, illegal behavior on the part of a debt collector should be reported immediately to The Consumer Financial Protection Bureau. Don’t be talked into a large initial payment. Most debt collectors who work through an agency get paid through commissions. They are motivated to convince debtors to make a big upfront payment on the debt that is owed, so they can take home a percentage of your money. You do want to get a payment plan in place, but there is no large initial payment required. Find an attorney who specializes in credit repair, bankruptcy or other financial matters. This is especially pertinent if you have been served with a lawsuit by one of your creditors. Additionally, a credit repair attorney won’t simply get the creditors off your back; he will continue working with you so your credit score can gradually return to a good place. Avoid giving out your personal information. It’s never a good idea to give your bank account information to a debt collector. Your attorney can help you decide the best method of payment to get your debts back under control, but you may consider using money orders so that debt collectors don’t get their hands on your bank account number and routing information. An attorney experienced in credit repair matters will be able to assist you with: effective negotiation with creditors and debt collectors, reaching out to other people or companies to whom you owe money (utility companies, etc), bringing down your interest rates on any applicable loans, checking your credit report for any errors, streamlining all of your outstanding debts and working with you to establish better spending habits and a better credit rating in the future. 7 Responses to Help! I’m Being Followed by a Debt Collector!